Berkley Parks and Rec Summer Camps 2019 – Berkley Parks and Recreation offers fun summer day camps for kids in grades K through 9th grade.Summer day camps at Berkley Parks and Rec offer offer swimming at BHS and outdoor local pools, beaches and waterparks, weekly age-appropriate field trips, crafts, sports, movies, ice cream, games, out-to-lunch trips, Berkley’s own inflatable bouncer, 4-H demos, weekly themes and so much more! Berkley Parks and Recreation summer day camps run from June 17 through August 22. 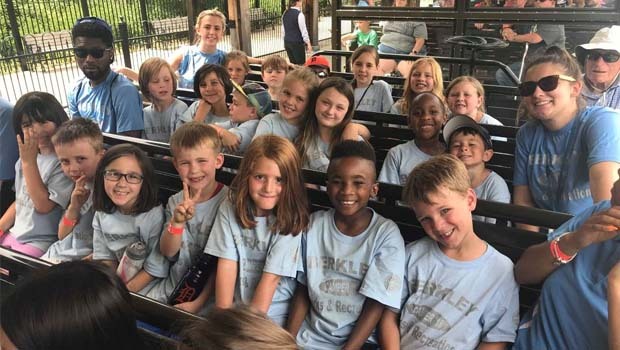 Berkley Summer Camps 2019 from Berkley Parks and Rec are divided into 4 age groups. Camp hours are from 8:45-5p Monday through Friday. Before-care starting at 7:30a and after-care ending at 6p are available for an additional cost of $15 each per week. All camps are held at TBD and include a free T-shirt (required for field trips). Berkley Parks and Recreation summer camps cost $170 per week for residents, $185 per week for non-resident. You can register for ALL 10 weeks of Berkley Summer Day Camp 2019 plus Week 0 and Week 11 Vacation Camps for $1550 per resident ($1500 if you early bird register before May 28) or $1700 for non-resident ($1650 early bird). 3 and 4 day prices are available. Sign up for Berkley Parks and Rec summer camps today!